Bitcoin, theoretically and empirically, already qualifies as money. Bitcoin is not Chuck-E Cheese tokens and, despite Charlie Munger’s esteemed opinion, certainly not “rat poison.” Surda and Graf have the right idea on this. 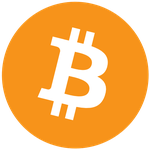 Bitcoin was initially valued for what it was – powerful cryptographic technology that was valued by crypto-anarchists and various individuals on the bitcointalk forum. Eventually, the specific characteristics of Bitcoins (divisibility, ease, speed, etc.) caught on to larger and larger groups of people who began buying and using Bitcoin for exchanges. And voila – now we have a medium of exchange. Given the vast market of goods for which Bitcoin can currently be exchanged in so many locations, I’m willing to consider it money. Online vendors and entrepreneurs already conduct monetary calculation in terms of Bitcoin. If there were “Bitcoin banks” where people sent their Bitcoins for safe keeping, and this bank secretly operated on fractional reserve principles, the ensuing money creation would slowly distort the structure of production for all goods denominated in the Bitcoin economy. I don’t think that’s controversial. I’m more interested, though, in looking at the perspective of Bitcoin competing as a money and analyzing it from an economic perspective. Many of us are familiar with how money originates: all commodities come to be valued for whatever direct need they fulfill; certain commodities come to be valued for the indirect service they perform in addition to whatever use-value they have. Individual people, recognizing that some commodities have attributes satisfactory to enable this indirect exchange, begin using it instead of resorting to barter. Of course, the issue of contemporary money presents a few challenges, namely due to the political nature of its implementation (although the above analysis still applies to fiat money). This is where Bitcoin becomes exciting to study. Bitcoin, as a distributed digital crypto-currency, is not politically connected at all and yet it entered the market and is gaining strong traction. How will this play out for the individual? If we imagine Bitcoin gaining in popularity, and that it continues to attract a larger crowd, the network effects of Bitcoin will become stronger. Languages and money derive some of their value on how many people use them. So, over time, the processes I describe will become more and more mature, in the same way as immersion in another country will sharpen those language skills to greater or lesser extents. In some remote future, Bitcoin or another cryptocurrency may replace traditional currencies. But the change from a society using one currency to another would be neither instant nor would adoption and conversion happen simultaneously. Over time, as media of exchange appreciate in value, people will begin to hold marginally larger quantities of it. They will more and more come to calculate their Bitcoin-expenses in Bitcoin, instead of calculating Bitcoin-expenses in re-exchanged fiat. The individuals who choose to acquire marginally larger Bitcoin cash balances as it widens will begin associating a specific value to Bitcoin taking into account its deflationary aspect, just as we do with US Dollars or other fiat currency. The “value” of a unit of currency is determined, among other variables, with what one can purchase with it. As people become more acquainted with seeing and referring to various goods priced in Bitcoins, a mental association will develop that is totally independent from fiat values. So while today, the value of Bitcoin is thought of in terms of its fiat exchange, this connection will eventually disappear and two separate currencies will be coexisting, each with their respective markets and market actors. Just as in certain European societies that speak more than one language, every society integrated with Bitcoin and their traditional currency will learn both “languages” – perhaps in the way that gold and silver paired together historically. They will take on separate roles, or possibly Bitcoin will swallow the whole market. Only time – and the changing preferences of savers, entrepreneurs, and consumers – will tell. What is certain, though, is that everyone connected to the Bitcoin economy – even tangentially – will be forced to “speak” in terms of Bitcoin. In the past, people used to write “gold clauses” in their contracts specifying payment in ounces or grams of gold instead of in fiat values. This practice was popular because gold was a more reliable store of value than fluctuating national monies; they also allowed accounting in international terms. The value of a certain quantity of gold was familiar to all parties involved, whether they were in Europe or Asia. In the 21st century, Bitcoin has replaced gold in all but decorative and ornamental functions. Further, because Bitcoin is a true medium of exchange and not simply a store of value, small-time merchants and regular consumers will become acquainted with it quickly. Because Bitcoin is a deflationary money, there will tend to emerge price discounts between fiat and Bitcoin values. Merchants, wishing to spend cash and retain Bitcoin, will reliably price their wares lower for customers who relinquish Bitcoin to them. This is what Daniel Krawisz refers to as “hyperbitcoinization.” It is a type of hypermonetization where one monetary unit accelerates in displacing another. We are already seeing price discounting with regards to credit cards. Many convenience stores and small businesses prefer to handle cash than credit, and they thereby offer an implicit discount for users who pay in cash (charging $0.50 on top of a credit transaction is the implicit cash discount). Likewise, merchants will agree to accept lessBitcoin than the pure exchange value to entice consumers to spend it. Consumers, witnessing the price discount – Gyft already offers 3% on many major retail outlets – will become interested in learning how they can save money. These two incentives are harmonious; both merchant and consumer benefit from Bitcoin, and the value proposition Bitcoin offers will force everyone to learn this second language. For a while thus, fiat values and Bitcoin values will exist simultaneously in people’s minds. Over time, the initial fiat values of various goods will disappear entirely as merchants refuse to accept worthless debt promises associated with the central banks of various nations. They will demand real assets for their goods, like Bitcoin, and then there will be no purpose in remembering the language of dollars, Euros, or anything else. They will be as dead as Latin.